One monk in attendance said he wanted to be a "21st century monk". Geshe Thabke is a Buddhist monk at the Sera Jay monastery near Mysore, Karnataka. On the sidelines of a conference called ‘Science for Monks’, I sat down with him for a chat, during the course of which he mentioned a curious thing. When most people think about the meditative element of the practice of Buddhism, he said, they think only about single-point meditation, which is when a practitioner closes their eyes and focuses their mind’s eye, so to speak, on a single object. The less well known second kind is analytical meditation: when two monks engage in debate and question each other about their ideas, confronting them with impossibilities and contradictions in an effort to challenge their beliefs. This is also a louder form of meditation. Thabke said that sometimes, people walk into his monastery expecting it to be a quiet environment and are surprised when they chance upon an argument. Analytical meditation is considered to be a form of evidence-sharpening and a part of proof-building. It was on the back of this aspect of Buddhism, at least Tibetan Buddhism, that the ‘Science for Monks’ workshops and conferences have been organised, according to Bryce Johnson, the director of a California-based foundation of the same name and point-person for these events. They have been funded by the John Templeton and Sager Family Foundations, and organised together with the Library of Tibetan Works and Archives (LTWA). This year’s edition had been organised in Gangtok, Sikkim, and concluded on October 6. It counted five scientists from three countries and about 30 monks from 16 monasteries in India among its attendees. The theme for this year was ‘Observation and Reality’. The scientists were mostly, in their words, “quantum information” people, and their research focused on how quantum mechanics treated information, knowledge and reality. The monks and the scientists gave talks and participated in panel discussions on these topics over multiple sessions over a period of three days. Also read: Are Reason and Religion Mutually Exclusive? 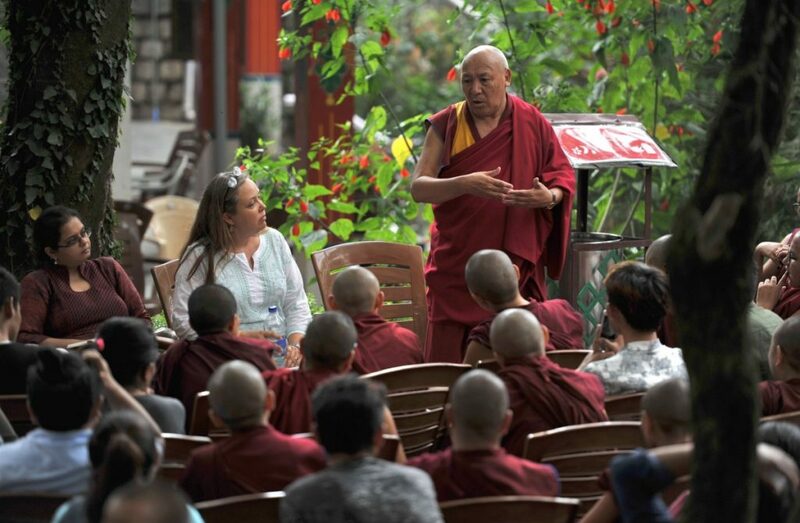 “Bringing science to monks, broadly, was something that was encouraged by the Dalai Lama,” Johnson said. “The Dalai Lama thinks monks should learn science so they can be good servants of society.” Indeed, one of the monks said he wanted to be a ’21st century monk’. “There’s also an idea in Buddhism that you have to maintain an openness to all kinds of knowledge,” Johnson added. “Many monks are curious about the world about them, they want to learn more about nature and science has insights into nature and fills in gaps where Buddhist explanations are not very detailed. But for these benign intentions, the success of such endeavours is always going to be limited. Going beyond the matter of the conceptual differences between science and religion, the theme of this year’s conference – centred on quantum mechanics – gives rise to problems of its own. Quantum mechanics is dogged by issues that remain unresolved. For example, Ian Durham, a physicist at Anselm University in Boston, presented a talk that discussed six different interpretations of the theory of quantum mechanics, each with its pros and cons. Additionally, in the past, numerous theses have been posited by philosophers and physicists alike on the alleged connections between Buddhism, and other eastern philosophical traditions like Hinduism and Taoism, in an effort to make sense of what quantum mechanics tells us about the nature of reality. Many of these ideas have been debunked or dismissed entirely on grounds that their underlying science is dated, wrong or misinterpreted. As a result, the conference could have been fertile ground for misinterpretation from both sides – on the part of scientists as to what Tibetan Buddhism says about reality, and on the part of the monks as to what science already knows or doesn’t know. And this was partly the case, although not entirely. Johnson said he believed this problem was mostly mitigated by the fact that the scientists often helped each other articulate their ideas better, and so also with the monks. Anyway, in an environment of such dialogue and debate, the general hope was that the sharing of new ideas would inspire the participants to ask new questions, even if it didn’t spur any longer term collaborations. For example, Durham had spoken at length about how classical physics had allowed scientists for a long time to distinguish between what knowledge and reality were, as distinct entities in the study of the natural world. However, the dawn of quantum mechanics in the early 20th century no longer afforded this luxury. Knowledge and reality became intertwined, as delineated by Heisenberg’s uncertainty principle and, more famously, the Schrödinger’s cat thought-experiment. Durham added that, in this context, Western philosophy proved to be of not much use to physicists because it enforced a distinction between knowledge and reality. On the other hand, many Eastern philosophical traditions don’t make this distinction and, according to Durham, might provide physicists with the inspiration they’re looking for. Thabke, who admitted to being more comfortable with philosophy than spirituality, said that the conference presented an opportunity for him to understand how scientists thought about the objects of their study and their approach to the construction and boundaries of knowledge. He remarked that he uses that as a basis to interrogate his own approach to epistemology. “I’m a scientist but I’ve also grown up as a Buddhist,” said Areeya Chantasri, a physicist from Thailand who presented at the conference. “So I have experience thinking about those kinds of spiritual questions.” She added, “Now I have a PhD in physics, I [undertake] research in physics, and this is a good time to learn more about what I’m thinking and maybe try to explain what I think as a physicist and a Buddhist.” She is currently a postdoctoral fellow at the Centre for Quantum Dynamics, Griffith University, Brisbane. 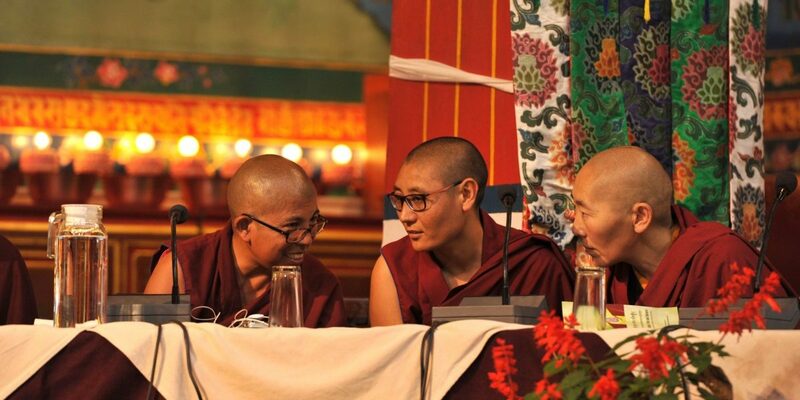 During the conference, Karma Thupten received praise from scientists and monks alike for his translations of scientific and philosophical statements and questions from English to Tibetan and vice-versa. He attributed his fluency to the fact that he had been attending these conferences for some time. Translators have a unique place in this science/Buddhism ecosystem, one pillar of which is the Emory-Tibet Science Initiative (ETSI) between Emory University, Atlanta, and the LTWA. Apart from helping publish bilingual (English/Tibetan) dictionaries of scientific terms, translators like Thupten also work with translators at Emory to coin new Tibetan words to encapsulate specific scientific concepts. These words are then submitted to the education department of the Central Tibetan Administration for approval. And once approved, they enter regular parlance. Geshe Lhakdor, a more senior monk in the monasterial hierarchy and director of the LTWA, had kicked the conference off with a keynote that sought to establish a similarly strong purpose for the conference. He said that should scientists discover something that pointedly refuted a fact the Buddhists believed to be true, then the Buddhists must accept that discovery and reflexively modify their beliefs. While such opportunities might have been more abundant with classical physics, the speculation-ridden realm of quantum mechanics made for a more negotiated – and, for that reason, more interesting – experience. The talks focused on cause-effect relationships, causality and locality, famous quantum physics experiments that illustrated the subject’s kookiness, consciousness, epistemology, and states of knowledge and reality. The scientists and the monks engaged mostly on the latter’s turf, the monks asking and presenting parallel ideas in Buddhism and the scientists further clarifying what they had said such that nuances didn’t get lost in the context. 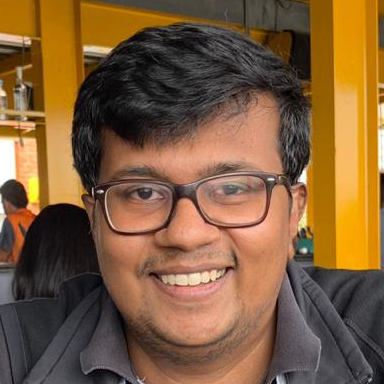 In a conversation, Lhakdor also wished that scientists would be more empathetic in and through their work, and always keep the needs of the common human in mind. Scientific and religious traditions are ultimately irreconcilable for the way they seek out and establish truths. In fact, it would be fair to say that these traditions, as such, are so far down their respective paths that even speaking meaningfully to each other is going to be impossible, particularly in the present format of having multiple talks and panels over just three days. From next year, according to Johnson, the congress will assume a more dialogue-oriented format that enhances the scope for deeper dialogues that could lead to longer term collaborations. This is similar to the dialogues hosted by the Mind & Life Institute. But to take a leaf out of Lhakdor’s book, the ‘Science for Monks’ conference provided a glimpse of the similarities, dissimilarities and contradictions between what he called “the two truths”. Granted, Tibetan Buddhism – with its culture of debate and introspection – might be less dogmatic than its peers but it is dogmatic nonetheless. It also served to illustrate how science and religion are not independent of the people that practice it, and that they need not compete for their places in the human mind.